The porch swing stamp and sentiment are both from Pink Ink Stamp Company. 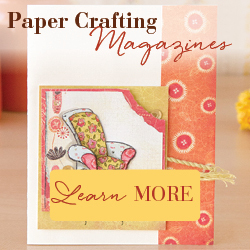 The lattice background stamp is from Hero Arts. I’m not sure if all of these stamps are still available, but check out both of these companies – they have amazing products!! I’m sure this card will just serve as inspiration as you see all the great stamps out there! I stamped the porch swing with brown ink on white card stock and colored it with Copic markers. I added a little clear glitter glue to the chains to give it the look of metal. I stamped the sentiment with dark turquoise ink on white card stock and punched it with the label punch from Stampin’ Up. 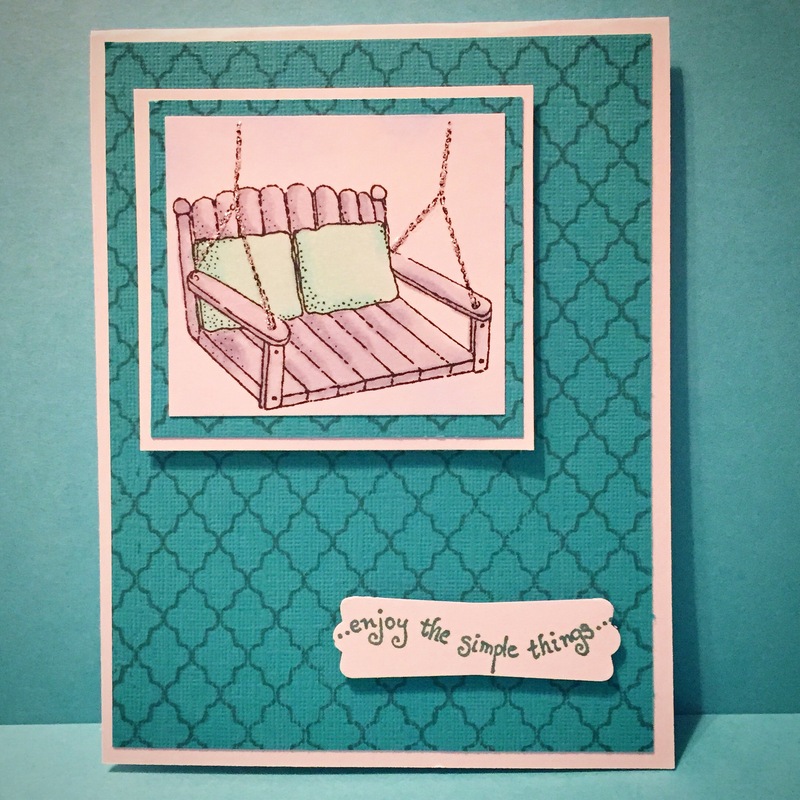 I stamped 2 panels of turquoise card stock with the lattice background stamp – one is layered to a white card and the smaller one is layered behind the porch swing image. Then the porch swing panel is layered to white card stock and attached to the card with foam tape. The sentiment label is also attached with foam tape.